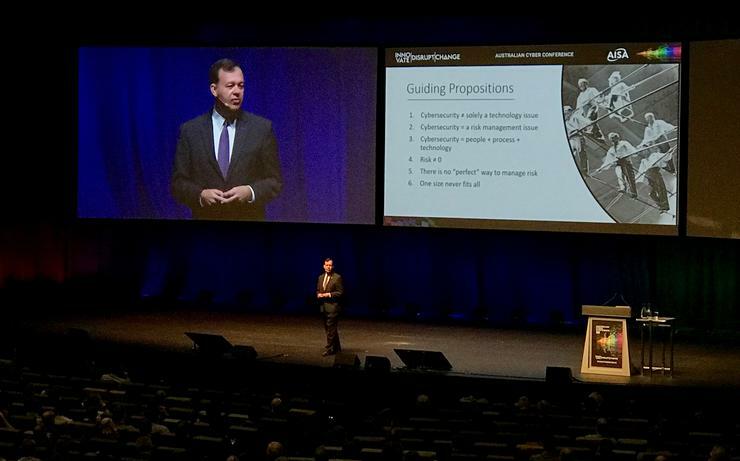 Technology has a role in providing security defences but the involvement of human factors in most breaches meant that security executives “have to plan for stupid,” brigadier general Gregory Touhill told attendees at the AISA National Cybersecurity Conference in Melbourne this week. Touhill – a certified CISSP and CISM whose military career led him to direct the US government’s National Cybersecurity and Communications Integration Center (NCCIC) and eventually serve as the country’s first CISO under president Barack Obama – now serves as president of Cyxtera Technologies’ Cyxtera Federal Group. He has worked across a spectrum of investigations including the cleanup of the massive 2015 Office of Personnel Management (OPM) data breach – which he called “a billion dollar error” due to direct and indirect costs from providing millions of affected people with identity-theft protection. Despite the knowledge that existing systems were often insecure, many companies had clung to insecure systems for much longer than they should have due to concerns about business continuity. This had been particularly common within government agencies such as NASA – which had long maintained 1960s and 1970s-era computers designed to communicate with distant space probes – and the US Department of Energy, which is still controlling nuclear stockpiles using systems running 8-inch floppy disks. The security exposure of such systems constitutes a massive risk, Touhill said while noting that even ubiquitous technologies like firewalls and virtual private networks (VPNs) were over 20 years old and due for a fresh approach. The risks of such technologies must, he said, be moderated by not only modernising technology, but modernising people and partner relationships to support the reduced risk profile. Touhill offered seven key strategies for companies to make meaningful improvements to their cybersecurity risk exposure. These include authenticating everything as part of a zero-trust model; software-defined perimeter technology that mandates role-based access controls and only connects users to resources they are authorised to see; the use of a proportional defence; use of DMARC to reduce exposure to phishing attacks; planning for regular depreciation and recapitalisation of equipment; caution in adopting cloud-based infrastructure; and investing in training. Ultimately, these and other strategic changes would contribute to the evolving discussion about risk within businesses. Increasing efforts by hackers to disrupt the integrity of core business data and systems would turn data integrity into the “next wave” of cyber attacks. This kind of behaviour was likely to become more common because the widespread availability of hacker tools had deemphasised the need for criminals to develop new breaches; novelty in today’s cybercriminal world revolves more around attackers’ ability to find new ways to target those tools. Ultimately, changing perspectives on risk will map to real-world initiatives as companies review their security budgets and change their approach.